The genus Pachylia has 1 species in the USA. There are 3 species found only in the New-World. 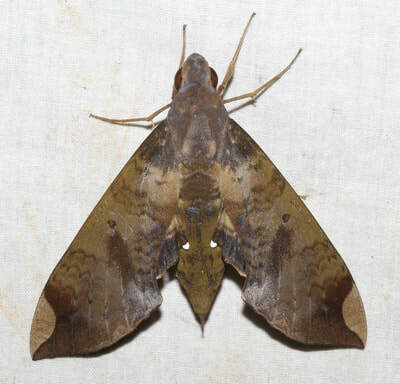 General Information: These are relatively large dark colored moths. They’re usually olive green with various patching throughout the wings. One species is brown with several brown lines. ​Not applicable as this is the only species in the genus found in the USA.